It came out of no where. Only a few days advance notice. Brenda and I watched the news as half the east coast was pummeled by several inches of snow. In some areas snow drifts were several feet high. We were grateful we did not get a single snow flake here in Maryland but we drew up a list of things we intend to do when the big one hits. Trapped in the house and no way to get out? Being snowed in is fine for one day but two or more days can drive you out of your mind. So what else can you do when you're snowbound and have nothing but time on your hands? Take time to write to friends and relative using printed greeting cards. Add an item to a memory chest. Try out some new and old recipes. Plan for a spring or summer gathering. In addition to these activities think about what you like to do and plan ahead by having everything on hand. Like to knit. Get some knitting yarn and access to online knitting tutorials. Like to paint or draw? Gather your materials today and put them aside for use when snowbound. Like printing and writing greeting cards? 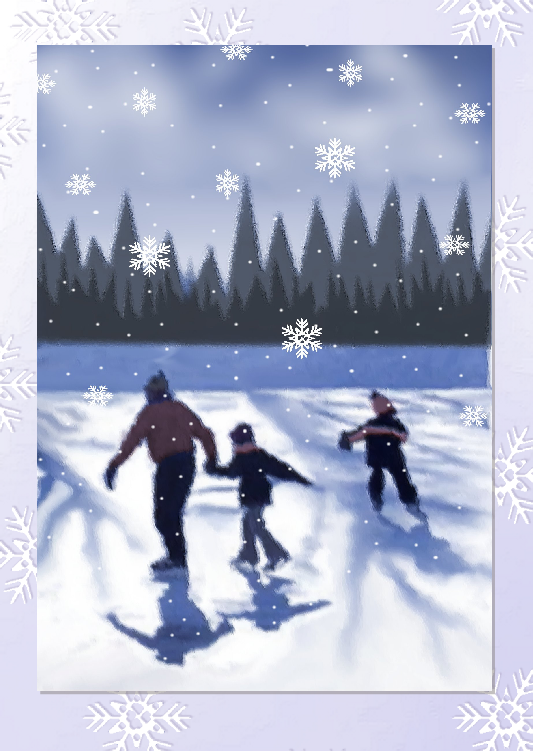 Print some cards today and write to family on snow day.